Philips (TPVision) announced its OLED TV lineup for 2018. Philips will offer three models, the OLED 973, OLED 873 and OLED 803. All of these 2018 TVs will be pretty similar, and all will feature 4K WRGB OLED panels, Philips' P5 "Perfect-Picture" processor, 3-sided Ambilight, HDR10, HLG and HDR10+ (will arrive in Q2 2018), Quad-core Android TV platform with Google Assistant and 16GB of memory. The main difference is the TV design, and the 973 will also offer a 60W soundbar. The 973 and 873 will come in 65", while the 803 will also have a 55" option. The OLED 973 and OLED 873 will launch in Q1 2018, and the OLED 803 will arrive in the summer. 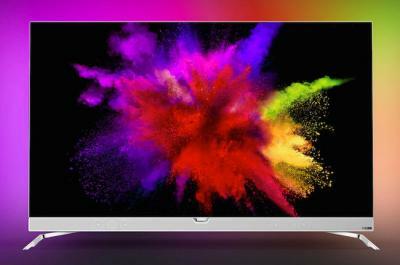 Philips did not yet disclose the pricing of its new OLED TVs. 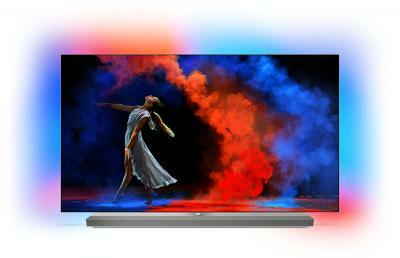 In 2017 Philips launched its first OLED TV, the 55" 901F. According to FlatPanelsHD, Philips (or TP Vision, actually) is set to launch four new OLED TVs in 2018, including higher-end and lower end modules. FlatPanelsHD noticed the following models: OLED973, OLED903, OLED873 and OLED803. All models will be available in 65" and the 903 and 803 will also be available in 55". Philips announced its first OLED TV, the 901F, in September 2016, and the TV is now starting to appear in European stores. The price for the TV (which comes in 55" only) is €3,500 in Germany. 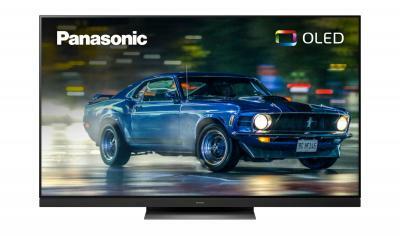 Philips' 901F has s 55" 4K panel (LGD WRGB) and features include three-sided Ambilight (LED strips that add external illumination), HDR, Philips' own Perfect Pixel Ultra HD picture processing, integrated 6.1 sound system and a Smart TV powered by Android. During an event in Europe, Philips announced it plans to launch their first OLED TV in Europe later this year. The company said that the first model will probably be a flat 55" model - although this hasn't been decided yet. Philips' TV brand is now being handled by TP Vision, which actually made the demonstration in Brussels. TPV demonstrated an OLED panel prototype next to an LCD to show how the OLED image quality surpasses the LCD panel. In April 2015, US-based OLEDWorks announced it will buy Philips' OLED business activity - including the production facility located in Aachen, Germany, and relevant IP. OLEDWorks was granted a license by Philips to market its OLED light source components under the Philips brand, and Philips will remain a distributor of the panels through its OEM sales channels. Today OLEDWorks announced that the acquisition is complete. OLEDWorks has worked to re-brand their website and all of their owned digital properties to integrate Lumiblade product offerings and maintain a seamless transition for new and existing customers. OLED panel Manufacturing will continue in Aachen. OLEDWorks announced that it plans to increase capacity in its OLED lighting fab in Lyell Avenue, Rochester, NY. OLEDWorks will invest $73.6 million in the new production line, and the company will get $2.5 million in state tax credits. OLEDWorks said it will hire 100 new employees for this fab "over the next five years". A couple of months ago OLEDWorks announced it will acquire the key parts of Philips OLED lighting business, including the OLED lighting production fab in Aachen, Germany. It seems that OLEDWorks intends to operate two production lines - in the US and in Germany. Financial details of that deal have not been disclosed - it'll be interesting to see where OLEDWorks will get the money for the acquisition and the new fab in Rochester. IDTechEx posted a very interesting analysis of the OLED lighting market, in which they see the OLED market growing very slowly - it will remain smaller than $80 million until 2017. The market will start picking up to reach $840 million in 2022 - still a very small slice of the global lighting market. IDTechEx says that OLED technology is very slow to close up to performance and cost gap to LED based lighting. In addition, following the recent Philips OLED BU sale to OLEDworks (and Panasonic decision to dissolve its OLED lighting activity back in March 2014), the only two major companies left in the OLED market is LG Chem and Konica Minolta. Remember Philips' LivingShapes interactive OLED mirror? The 64-OLED device was priced at €3,500, and Philips now announced a limited-time sale that offers the same device for €700. That's a 80% discount - that will be in effect till June 30th (or until Philips runs out of mirrors to sell - they currently have 60 in stock). The Interactive mirror has 64 square OLED panels (8x8) each 42x44.2 mm in size (color temperature 3000K, total luminance 400 lm). The mirror uses infrared sensors that detects the outline of the person looking at the mirror and switches off the OLEDs that are in the field of vision - thus turning it into a mirror.